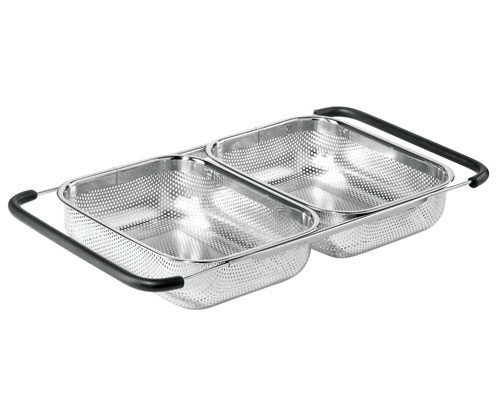 The OGGI Over-The-Sink Stainess Steel Perforated Double Colander features very fine holes that allows for fast drainage without food escaping. Expands to 23 inches and features soft grip handles. The Oggi 6.5 in. 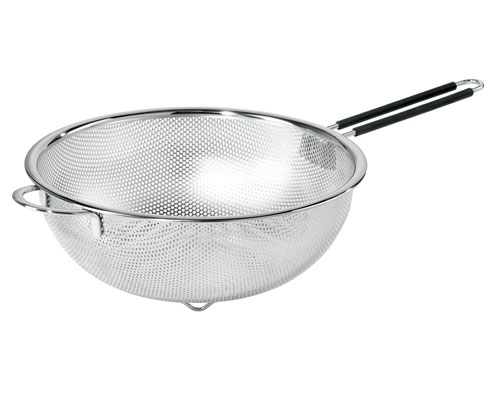 Stainless Steel Strainer is better than a screen type strainer because it's much more durable. It provides the same functionality. Pour water rapidly without any splash back. Small openings prevent food escaping. The Oggi 9.5 in. Stainless Steel Strainer is better than a screen type strainer because it's much more durable. It provides the same functionality. Pour water rapidly without any splash back. Small openings prevent food escaping. The Oggi 11 in. 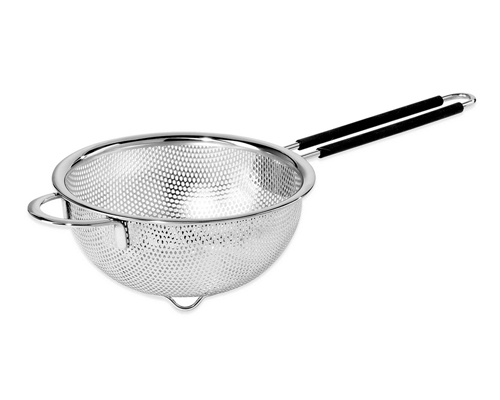 Stainless Steel Strainer is better than a screen type strainer because it's much more durable. It provides the same functionality. Pour water rapidly without any splash back. Small openings prevent food escaping. OGGI 11.25 in. 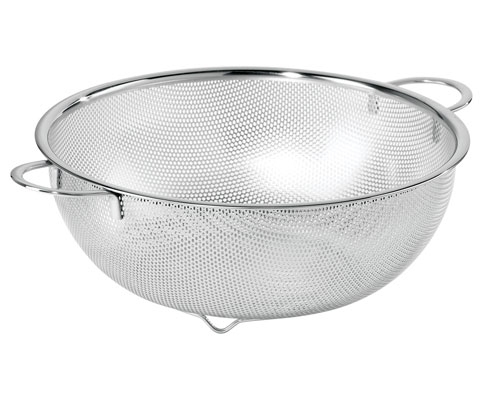 Stainless Steel Perforated Colander has fine holes so nothing escapes. NSF certified. 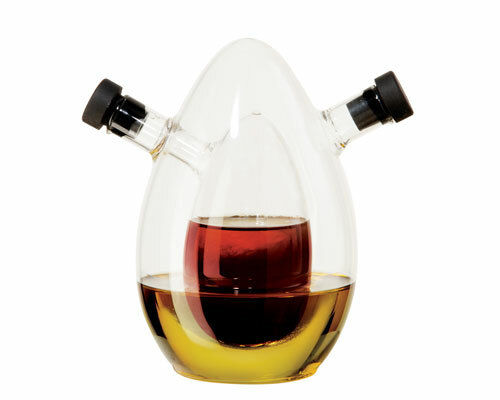 Oggi Oval Oil & Vinegar Cruet is made of hand blown glass with silicone stoppers. The Oggi 2 Pc. 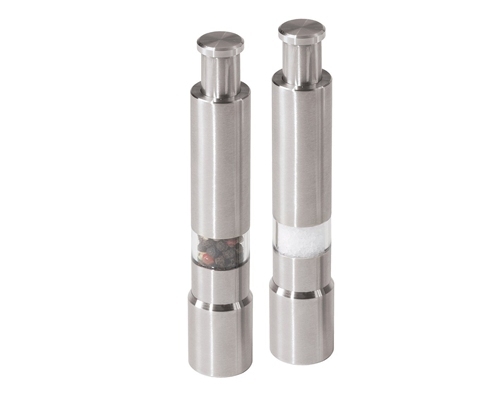 Stainless Steel Salt & Pepper Mill Set are spring loaded to ensure consistent output. The sleek design is a great addition to any kitchen. Because of their compact design, they're ideal for RVs or barbequing. OGGI 11 in. Splatter Guard is made of perforated stainless steel. 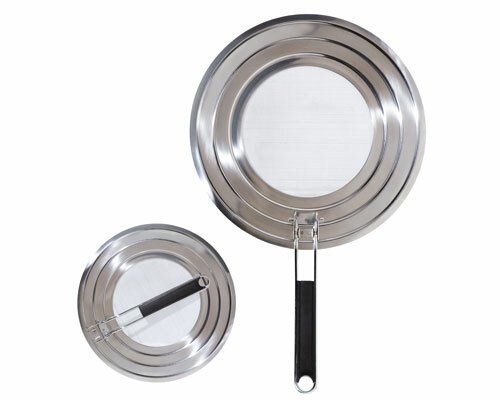 Perfect to use when frying foods and need to contain the grease splatter. This will fit on all pots and pans up to 11 in. in diameter. Easy to clean and handle folds for convenient storage. 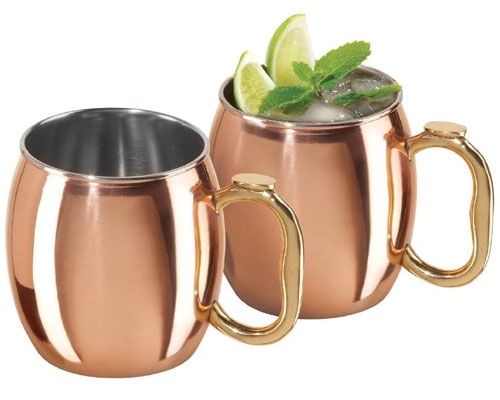 The OGGI 2 Piece Moscow Mule Mug Set is perfect on a hot summer day. A traditional copper mug becomes cold to the touch when filled with the iced beverage of your choice.